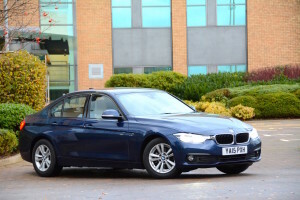 If you want a premium family saloon that’s good to drive, very comfortable, and capable of 70mpg on the motorway, then the latest BMW 320d ED Plus could be the one for you. The current generation BMW 3 Series has been widely acclaimed by motoring media as the car in its class to beat since it was launched. Just as the new Jaguar XE appears on the scene, the 3 Series has had a mid-life refresh. You’d be forgiven for missing the changes, but although most of the tweaks aren’t major, they do contribute to improving the driving experience. Most people wouldn’t notice any difference between the 3 Series that’s been around for the last few years and this revised model. However there are a number of changes, ranging from the cover for the cup holders now sliding out of sight rather than having to be physically removed (sounds very trivial but it’s a big improvement!) through revised suspension and transmissions to new engines – a fresh four-cylinder, 2-litre turbodiesel in the case of the 320d. What hasn’t changed is the basic layout of the rear-wheel drive chassis, which promises a more rewarding driving experience for those seeking such a quality in a car. Although most 3 Series that you’re likely to see will be M Sport variants, with large alloys and resulting good looks, our 320d ED Plus test car had 16-inch wheels. The small wheels are to help make the car as efficient as possible, but it doesn’t assist with its appearance. The latest 320d feels light, agile, responsive and comfortable. The rear-wheel drive chassis remains – resulting in rewarding handling and well-weighted, sharp steering uncorrupted by the torque of the drivetrain – but what has changed is a new engine. The last 320d engine felt – and sounded – strained under load; this new unit feels more refined, flexible and torquey, and doesn’t sound as harsh when pushed. 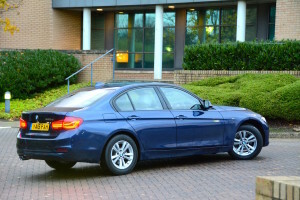 We know that the handling of the 3 Series is excellent, and the 320d ED also has a very comfortable ride, which was further enhanced on our test car by the fitment of adaptive suspension (a £750 option), plus the 16-inch wheels with high profile tyres. So this car may not look great, but it’s certainly comfortable. Also, if you lift off the accelerator on the motorway, the car just keeps rolling and rolling – to the extent that it catches up with vehicles in front. Today the vast majority of cars are generally competent overall, and it’s often various annoying features that spoil the potential ownership experience. Not so with the 3 Series. The driving position is excellent, helped by the optional electric seats (£945), and everything just works so well (although the interior design and quality may not match that of an Audi in many people’s view). This superb functionality is especially true of BMW’s iDrive system, with its rotary controller. Using the ideally-positioned rotary dial and its associated buttons, along with the intelligently thought-out on-screen menus, is so much easier – and safer – than trying to press a touchscreen in a moving car. Another option on this car was the head-up display (£825), which projects information such as speed and satnav directions onto the windscreen, and is excellent. 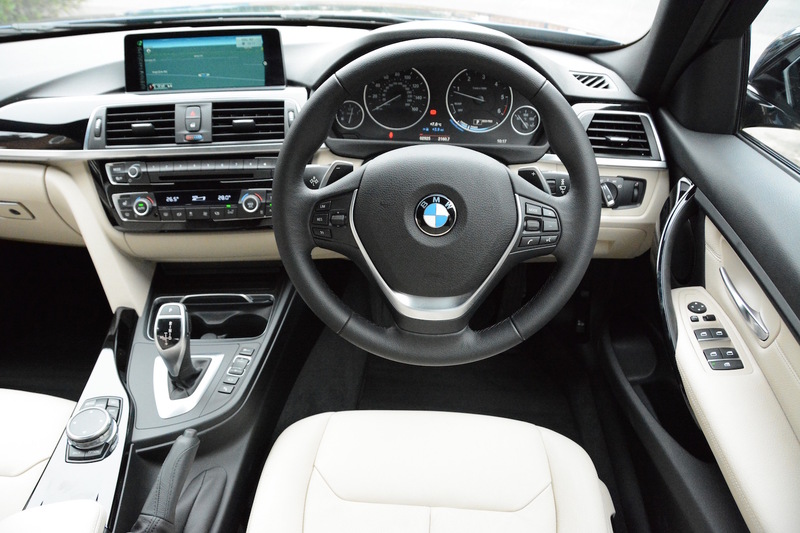 Even though our test car was a 320d ED, you still get the option to select four different driving modes: Eco Pro, Comfort, Sport and Sport Plus. This covers the most efficient driving set-up through to the Sport Plus option, which reduces the interference of traction control. The automatic transmission is generally always in the right gear, but you also get steering-wheel mounted paddles so you can change manually. A 3 Series, and especially this business-focused model, is likely to be in use a lot on motorways. Therefore the economy of the car at 70mph is a key measurement. On a drive from Manchester to Coventry and back on the M6, at a maximum of 70mph and in the seemingly permanent 50mph zone for a time, the car averaged 70mpg. Together with short sections of A and B roads at each end of the motorway, the final average was 69mpg. This is a highly impressive figure for a premium saloon, and it almost matches the official combined figure of 70.6mpg (equating to 104g/km CO2). A contributing factor to the economy and the refinement is that the engine is only doing around 1700rpm at 70mph. 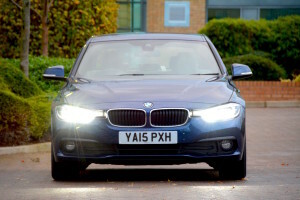 After a week of mixed driving in the 320d, the final economy figure was 62.4mpg – again, an excellent result. It’s worth noting that BMW’s automatic transmission results in higher mpg and lower emissions than the manual transmission. For comparison, the 320d M Sport has an official economy figure of 64.2mpg and 116g/km CO2 emissions. Even the ‘Mediterranean Blue’ paint costs £645. All these options total £9,650, taking the basic ‘on the road price’ of £30,485 to £40,780. BMW very generously gives you one item for no cost: 16″ V-spoke style 656 alloy wheels. There are a huge amount of 3 Series Saloon specs and engine combinations to choose from, and then you’ve got the 3 Series Touring, the 3 Series GT, the closely-related 4 Series Coupe, the 4 Series Gran Coupe, and the 4 Series Convertible. Then of course there’s the X3 and the X4. And the M3 and M4. If there’s another variation of a 3 Series that you think would be useful, then write to BMW and they might identify it as another niche and build it. 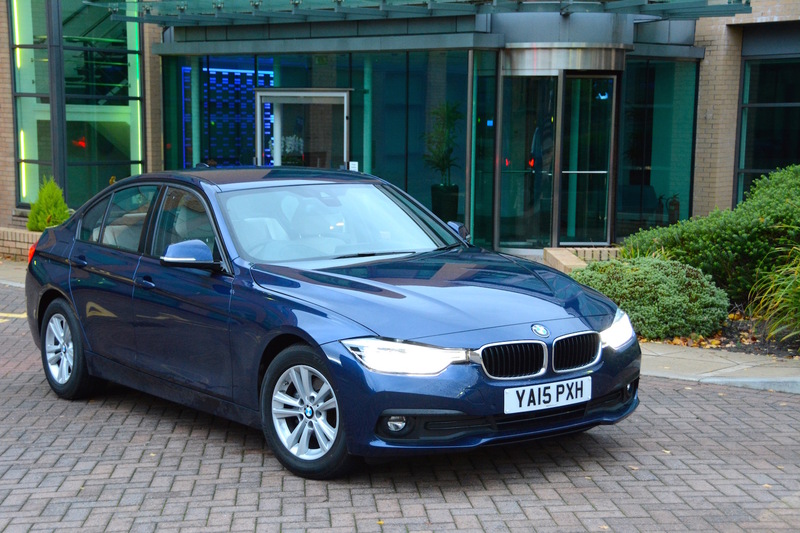 The BMW 320d ED Plus combines a good driving experience with the potential of excellent economy. 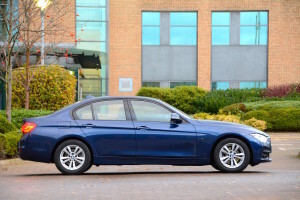 These are two important factors that influence car buying decisions, but visual appearance is also important, and this is the area where the ED Plus falls down; with its 16-inch wheels, it just doesn’t look as good as a 3 Series in SE or M Sport spec. This is an issue that BMW has actually already found a solution to – the tyres on an i3 are narrow, so aiding efficiency, but the wheels are of a large diameter. However such technology doesn’t appear in the 3 Series at this time. So most people will probably go for a 320d M Sport. 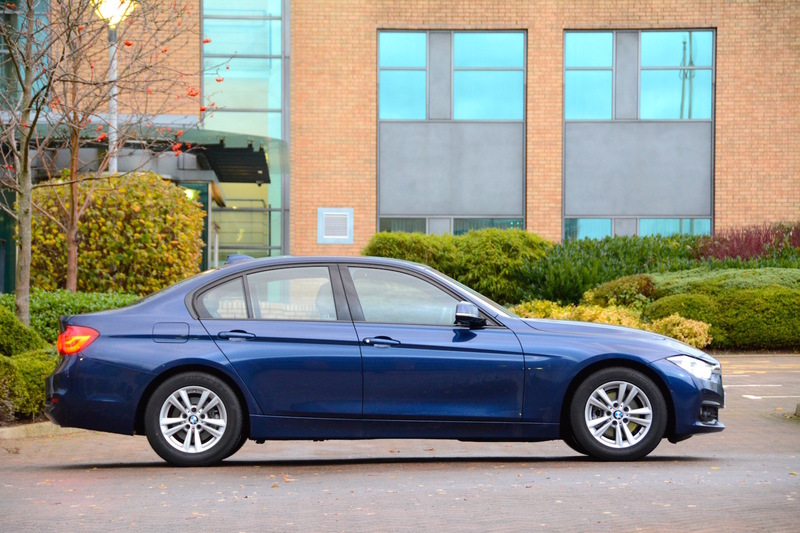 The fuel economy isn’t far behind the ED model, and if you resisted the temptation of the options list, then an M Sport model would be cheaper than our 320d ED test car. But then you’ve got the 330d, with its excellent 6-cylinder diesel engine. Or even the 309bhp 335d. 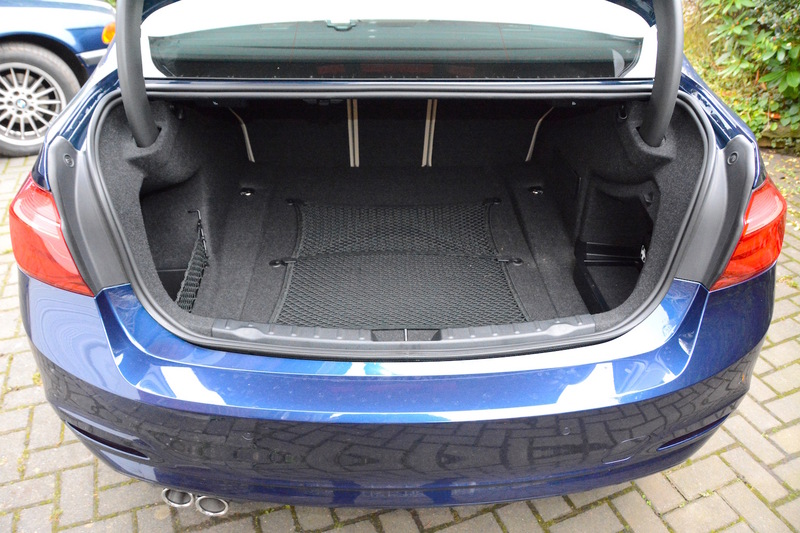 And then there’s the Touring – it’s more practical, and in our view, it looks better than the saloon. 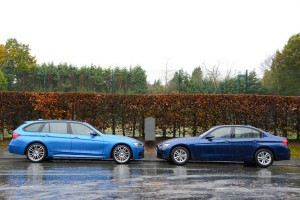 And if you went for a 335d Touring, you’d also have xDrive, BMW’s all-wheel drive system, which is a massive improvement in traction in wet winter months compared to rear-wheel drive (xDrive is also available on other 3 Series models). And you’d also spec a decent set of alloys. If you want to see how this car looks compared to a 320d ED on 16-inch wheels, see the photo above. 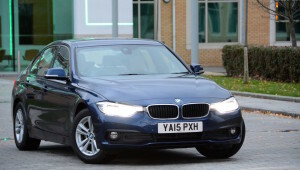 If you think the 335d isn’t very economical, then you might be surprised to learn that in real-life driving it will return over 50mpg at motorway speeds. We know this because we’ve bought one. So the choice is yours. 70mpg on the motorway with the 320d ED; or 50mpg with the 335d Touring, along with all of the added practicality of an estate and the extra enjoyment of a 6-cylinder, 3-litre diesel with huge reserves of torque, effectively transferred to wet roads via the much higher levels of traction of all-wheel drive. And of course there’s a huge range of other 3 Series models to choose from between these two extremes. 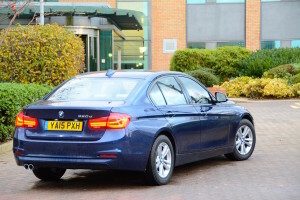 We’ve driven the latest 320d M Sport; it’s almost as economical as the ED version, it drives well, and it looks good: it scores a 10/10. 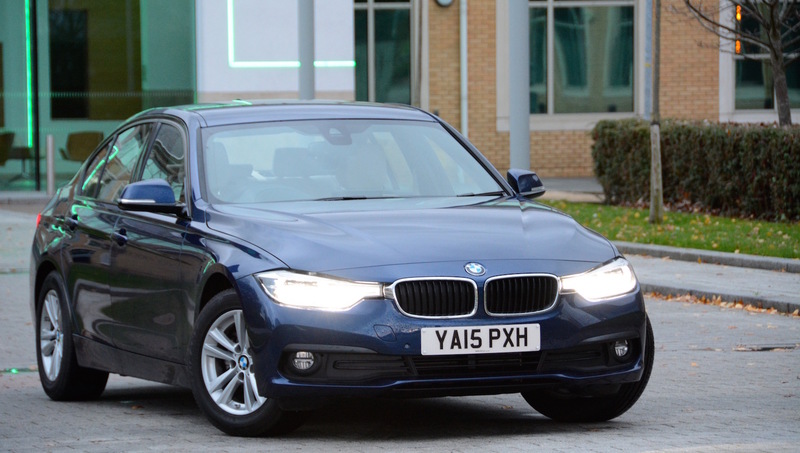 The 335d xDrive Touring has an impressive performance/economy balance, it’s fantastic to drive, it looks great, and it’s very practical: it scores a 10/10. 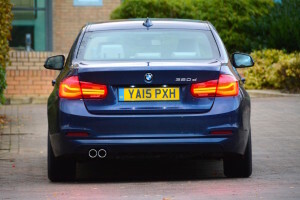 The 320d ED has amazing 70mpg motorway economy, it drives well, but from a visual point of view, with its 16-inch wheels, the fact is that many people would never quite be happy with its looks when it’s sat next to an M Sport version in the office car park. Unfortunately this just prevents it from scoring a 10/10, and so the 320d ED ends up with a Green Car Guide rating of 9 out of 10. The annoying thing is, BMW actually offers a 320d ED Sport, in Saloon and Touring body styles, which does look better visually than the ED Plus. The ED Sport Saloon still has a combined economy figure of 70.6mpg (67.3mpg for the Touring) and it comes with 17-inch alloy wheels, although you can upgrade to 18 or 19-inch wheels. So it turns out that there really is a BMW 3 Series for everyone.